If it is naturally and organically grown, no two items will look identical… ever! It’s just not possible to find two things that look absolutely alike in nature. No two leaves of the same mango tree will ever look 100% alike. Similarly, each apple, mango or even grain will always look different from another. Their colour, shape, structure will never be uniform. There will, for instance, be different shades of yellow in your moong dal instead of the uniformly bleached yellow of the regular packaged dal. Fruits, vegetables and grains won’t be huge in size. So while it is okay to go “ooh aah!” over huge potatoes, tomatoes, cabbages, eggplants, cauliflower, capsicum and the humble lauki, or bottle gourd, it is better not to transfer them to your plate. There are, of course, special cases in which people do grow large-sized fruits and vegetables organically as well, but they are not the norm and are difficult to find. Keedas (worms) in your grains are actually good news. Naturally grown sabut daals (like moong sabut, or urad sabut), atta, maida, brown rice, white rice and other grains will get keedas after two-three months and especially in the rains… because keedas too know that non-organic food is just not edible. So don’t jump up and down when you see the worms; all you need to do is wash the grain or sun them out like our grandmothers would and still live on to a 100 years. Keedas don’t contaminate your food, pesticides do. Similarly, if you see a few holes in the leaves of the greens you are buying, pick up the bunch; it means it is not heavily ‘pesticided’. And one rule of thumb to follow with greens is this: after washing them well, give a final rinse of salt water for two-three minutes. This helps remove germs and residue. Natural is just tastier. When you cook organic vegetables, you will realize that you need less spices as there is so much natural flavour. Similarly, organic fruits are juicier as they are allowed to ripen on the tree. Otherwise, fruits are usually plucked when green and then gassed to ripen and increase shelf life. In the case of a banana, your taste buds will speak up because the pesticide fruit has more water due to the spraying of acetylene gas. Unfortunately, most mangoes today are artificially ripened and apples have the maximum pesticides. The adage ‘an apple a day keeps the doctor away’ is actually only for organic apples. Organic feels healthier, is far lighter on the digestive system and also helps reduce acidity and gas related GI issues. You will feel a perceptible difference soon enough. The aroma and texture of organic food is totally different — very potent, in fact. 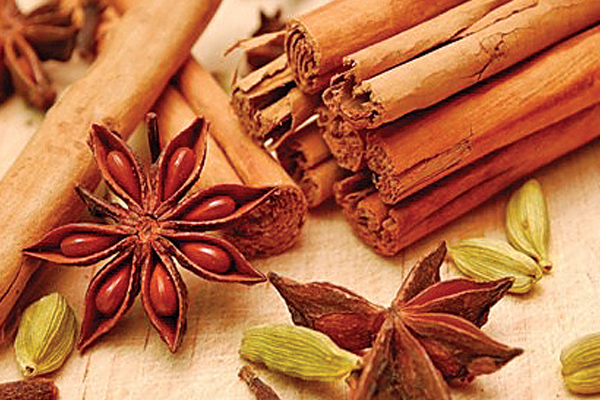 Organic spices, for instance, will have a strong aroma and flavour as they retain their oil content. In non-organic spices, the oils have been extracted and sold separately so they are devoid of any oil. Plus they are usually adulterated, so you need to use more to get the same result. Try ajwain/laung/zeera… just eat it raw and you’ll know the difference. Your tongue will have a strong sensation after half a teaspoon of organic ajwain. Similarly, organic apples have a divine fragrance; keep a crate of organic apples in the house to find out. One problem though is that industries now do a good job of recreating the original smell. The smell of pure ghee, for example, is added in the lab. Some just add the fragrance to make you think you are buying pure ghee, whereas you could actually be buying something totally nutritionless and worthless. So be careful. Organically grown food always cooks much faster; in fact if you are a multi-tasker, be careful as you might just burn the dish if you go out to peep in the garden while it is cooking. Food with pesticides needs to be cooked for much longer periods. Please read the label and check for any preservatives present in the product; most preservatives are petroleum based — you surely don’t want to be consuming those! 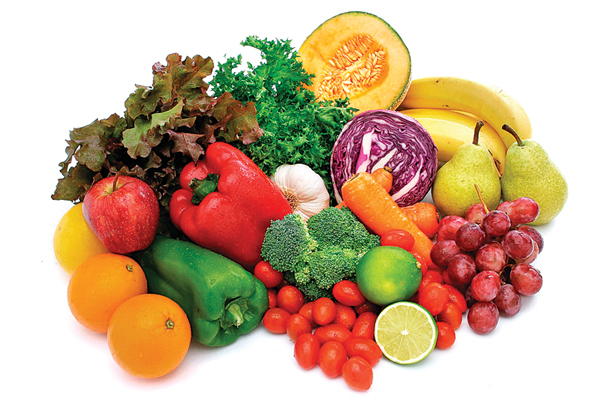 It is a myth that organic fruits and vegetables spoil faster; stored in a refrigerator they last for a long time.